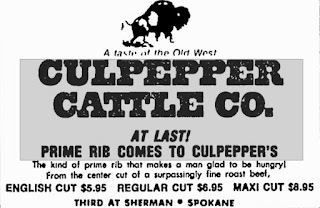 Vintage Spokane: Culpepper Cattle Co.
A taste of the Old West. At last! 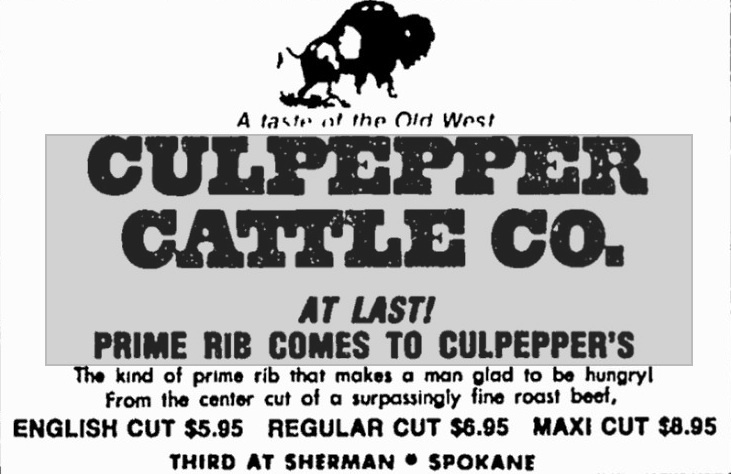 Prime Rib comes to Culpepper's. The kind of prime rib that makes a man glad to be hungry! From the center cut of a surpassingly fine roast beef. English cut: $5.95. Regular Cut: $6.95. Maxi Cut: $8.95. Third at Sherman. Spokane.